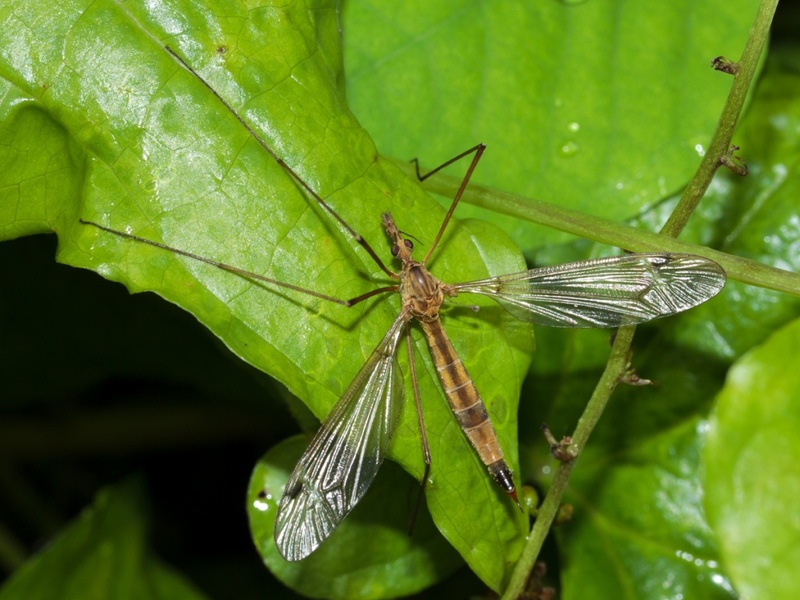 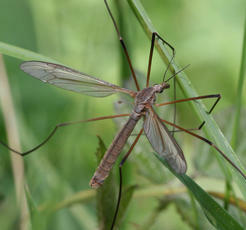 This is possibly our most common cranefly with a brown front edge and a brown stigma to its wings. 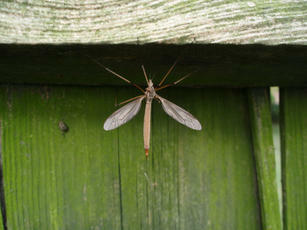 It also tends to be seen earlier in the year. 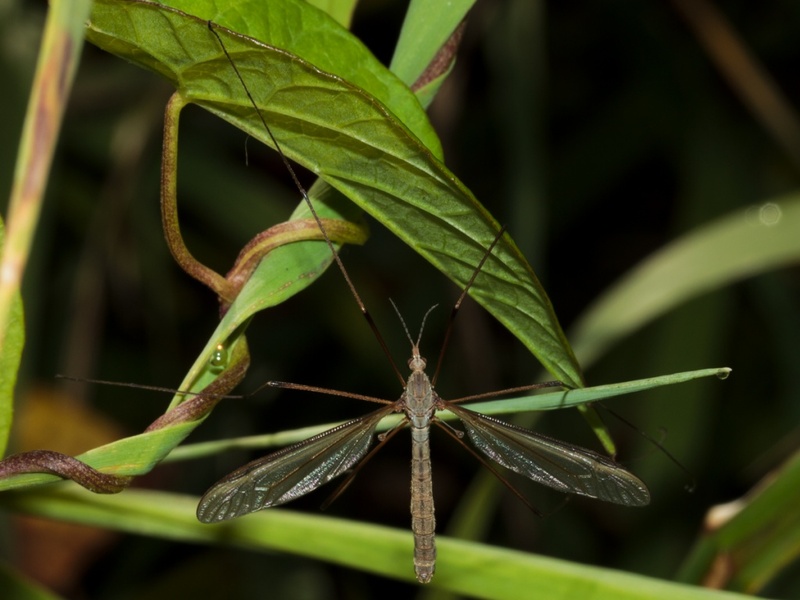 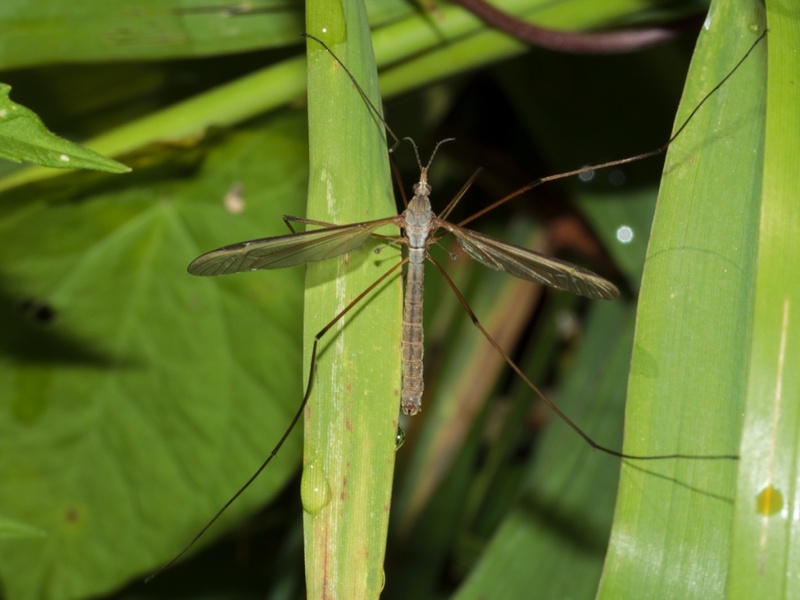 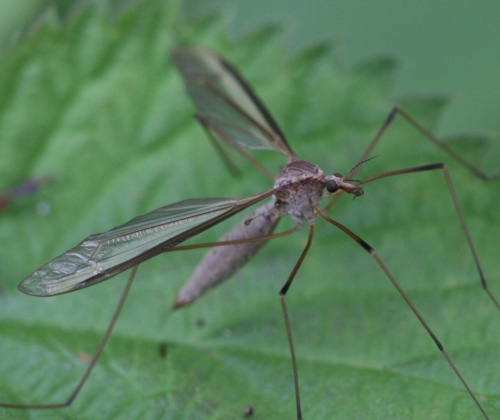 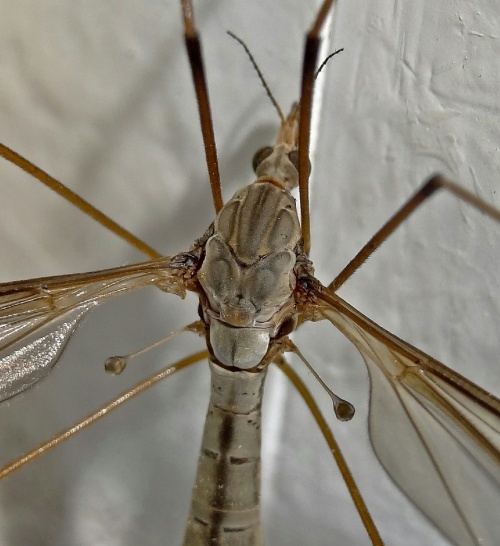 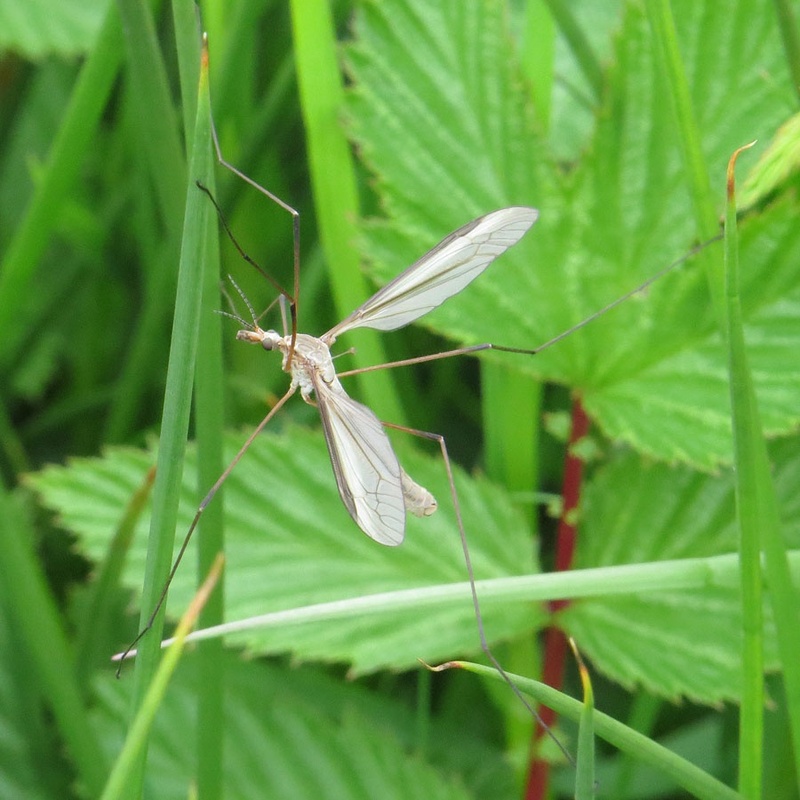 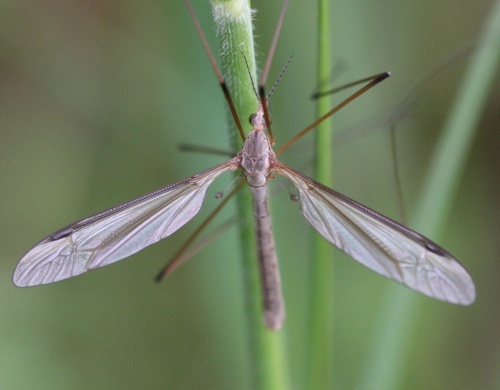 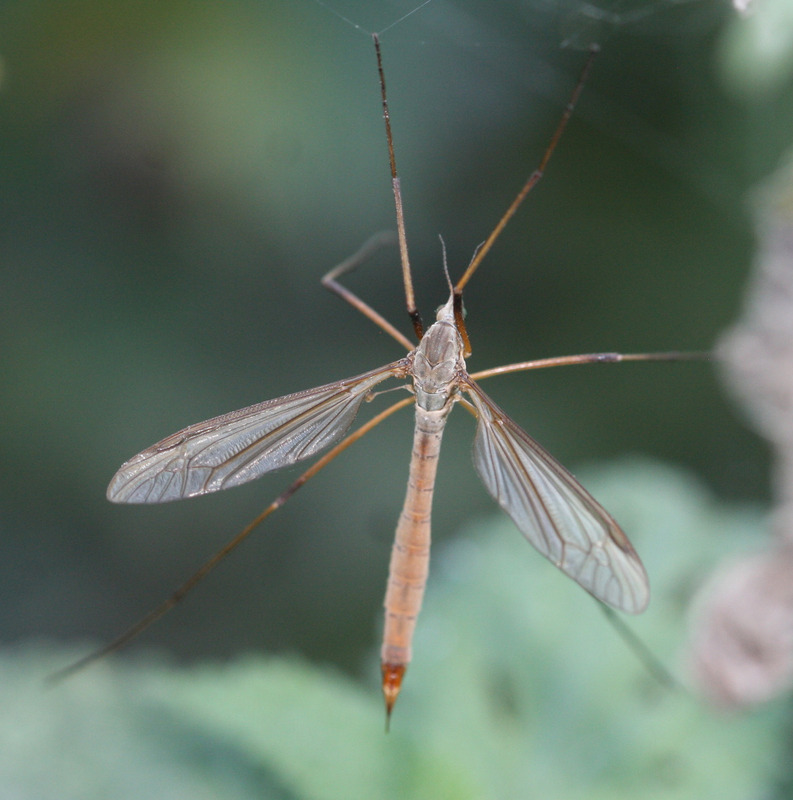 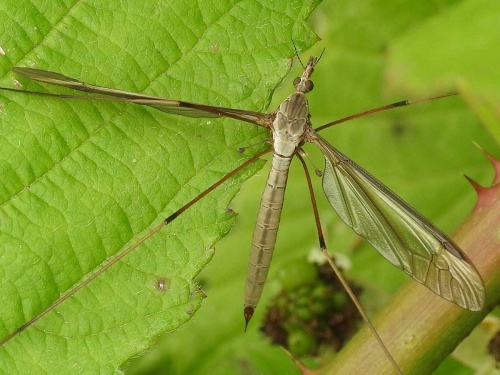 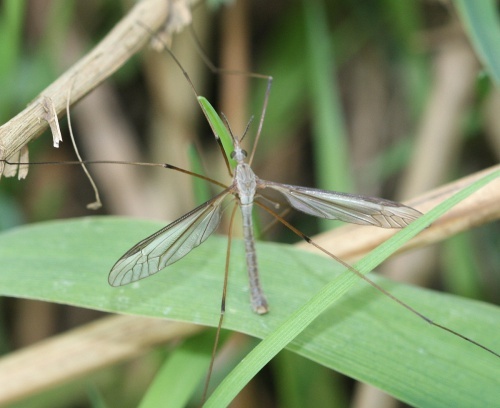 As with all craneflies, the females, prior to egg laying will be plump (they can carry several hundred eggs) and have pointed abdomens - all the better to insert eggs into damp soil. 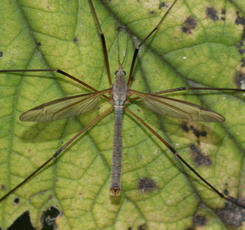 The males tend to be slim with squared off or club shaped abdomens. 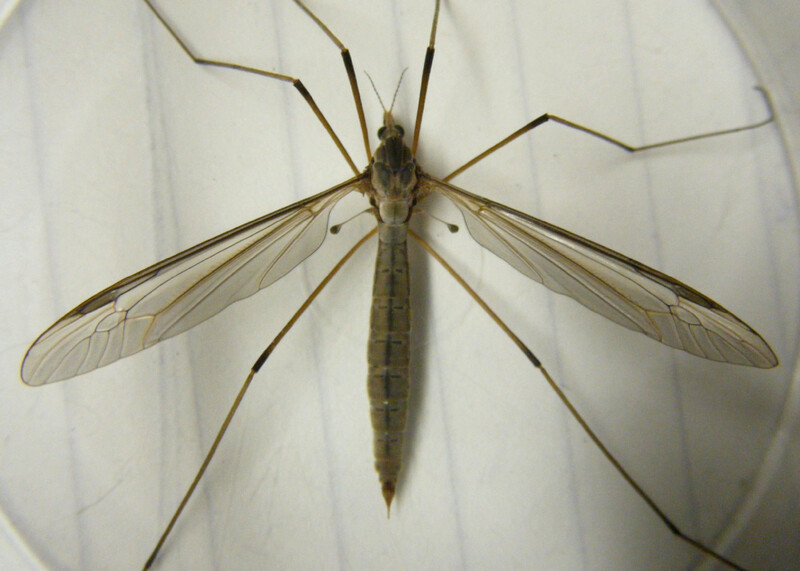 It is very similar to Tipula paludosa but in T. oleracea the female's wings are as long as the abdomen. Also, T. oleracea has 13 antennal segments whilst T. paludosa has 14 (note that as in all Tipula species the final segment is much reduced). 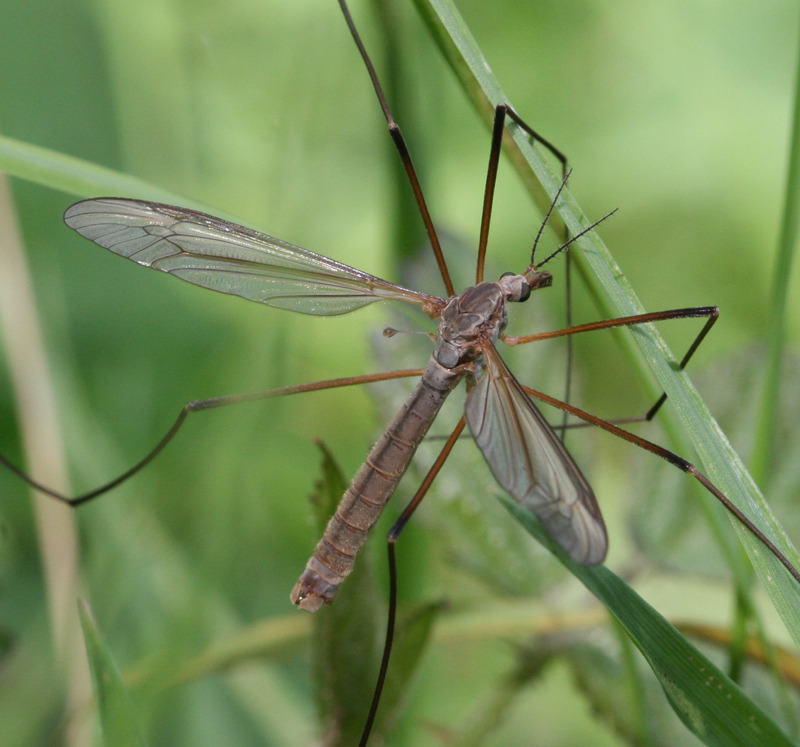 Damp grassland but also seen around habitation especially later in its season. 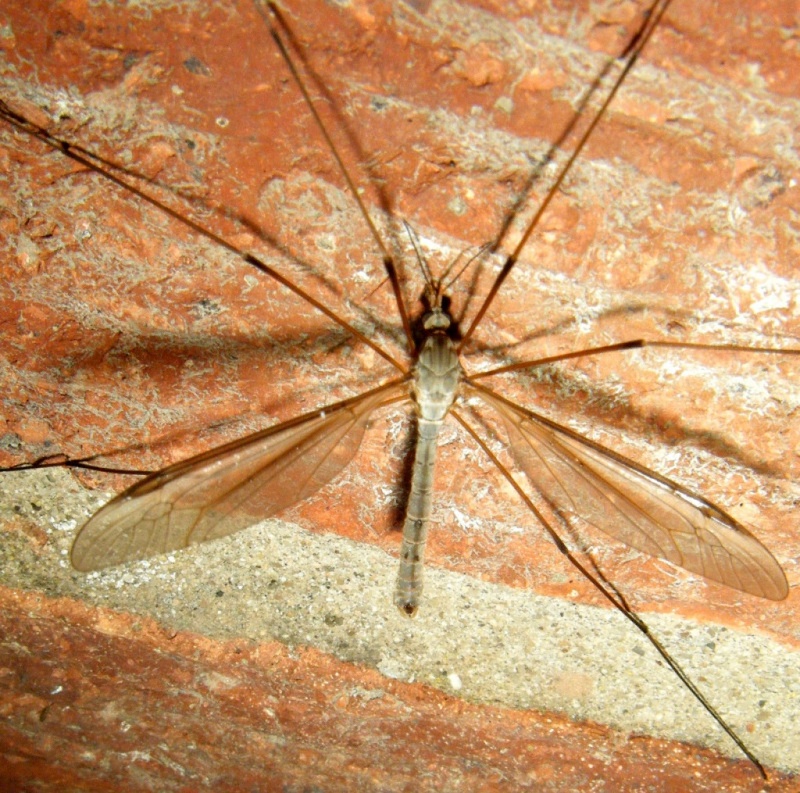 It flies from April to October but is most common in early summer. 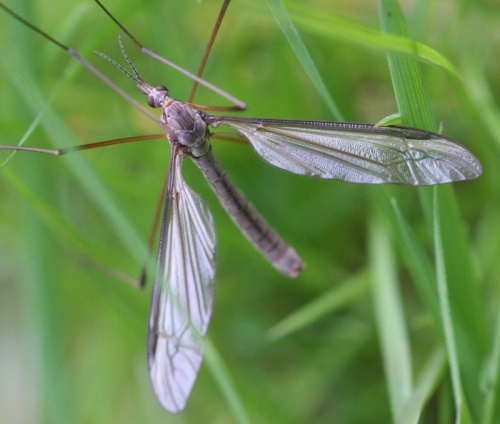 The eggs are laid into soft ground and the larvae are the well known terrestrial 'leather jackets' - brown legless grubs which spend their time below ground eating the root systems of grasses and root crops. 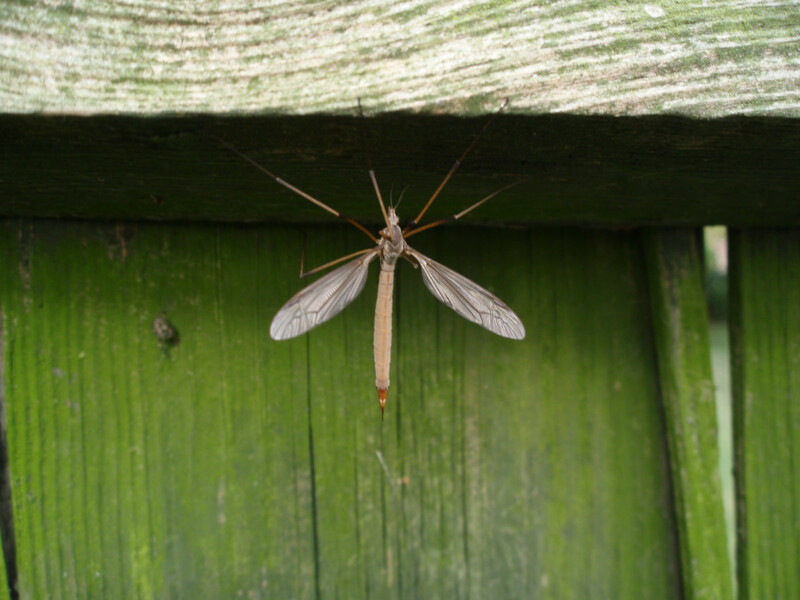 After a shower of rain they often come close to the surface and fall prey to ground feeding birds, particularly Starlings. The adult will not eat more than a little nectar or pollen during its lifetime, existing simply to mate and produce the next generation.